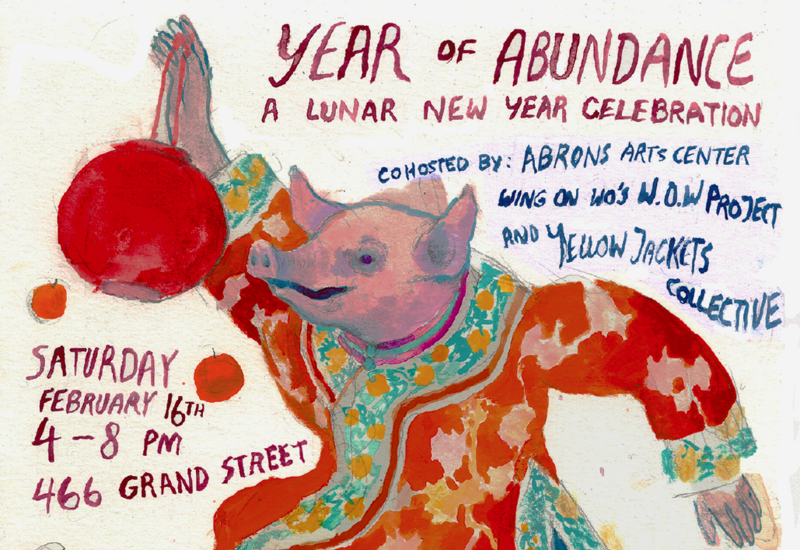 Ring in the Year of the Pig at Henry Street Settlement’s Abrons Arts Center with a free, family-friendly community festival: The Year of Abundance: A Lunar New Year Celebration. Join Abrons, Wing on Wo’s W.O.W. Project, and Yellow Jackets Collective on Saturday, February 16, 2019, from 4 to 8 p.m. at 466 Grand Street. The Year of Abundance will include live performances, art activities, karaoke, DJ sets, and refreshments (while supplies last!) from local restaurants including Nom Wah Tea Parlor and East Wind Snack Shop. The Year of Abundance: A Lunar New Year Celebration is presented in conjunction with the ICPP Curatorial Leadership Fellowship, with support from the Ford Foundation.